He runs a business that serves 19 million customers a week and has annual sales of more than £22 billion. As a teenager, however, Andy Clarke was more interested in breaching the opposition try line than the upper echelons of management. And the Asda chief executive’s formative years were not spent at Oxford, Cambridge or a prestigious business school. “I spent too much time on the rugby field and not enough time studying,” says Clarke, whose hulking frame suggests he would still be more at home at the back of a scrum than in a library. That chat was the stepping stone between a part-time job for extra pocket money and a role that would put him in charge of 175,000 people. 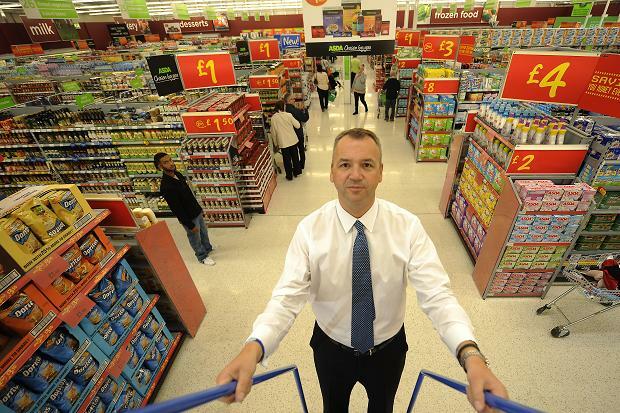 He then joined Morrisons and by 22 was running a store, before joining Asda in the early 1990s — in time to see its turnaround and sale to Wal-Mart Stores in 1999. A taste of life on the shop floor is essential for any aspiring retailers, he says. He believes that perceptions are beginning to shift among teenagers and their parents about the options available for school-leavers. Leaving school to work in a shop does not have to lead to a dead-end job as a “shelf stacker”. The introduction of top-up fees and the onset of the economic crisis have also contributed to this shift. “I had two letters sent to me last week from school-leavers who have done their A levels and don’t want to go to university, preferring to choose a career in retail. Retail has had a perception in the past as an industry that didn’t necessarily give people the growth opportunities that they got in other industries. Asked what advice he would give his 16-year-old self (or a school-leaver of today who was not keen on taking the higher education route) his counsel is straightforward: “There is no substitute for hard work. Nothing comes easily and hard work is something that is in all of our gifts. I don’t mean physically working hard, but applying yourself to developing your own career and not limiting your own ambition. The Times has teamed up with Barclays to support its LifeSkills campaign. By 2015, LifeSkills aims to equip a million young people with the skills they need for work and to connect them with opportunities to experience work.